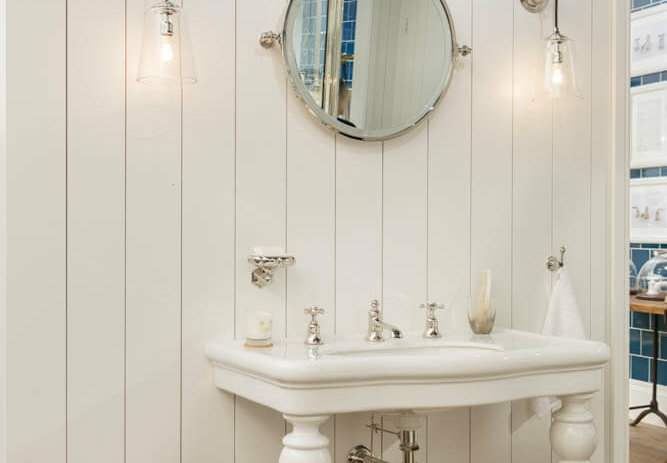 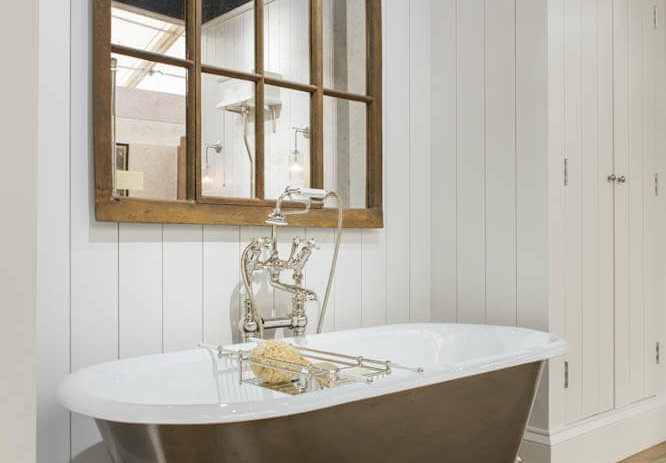 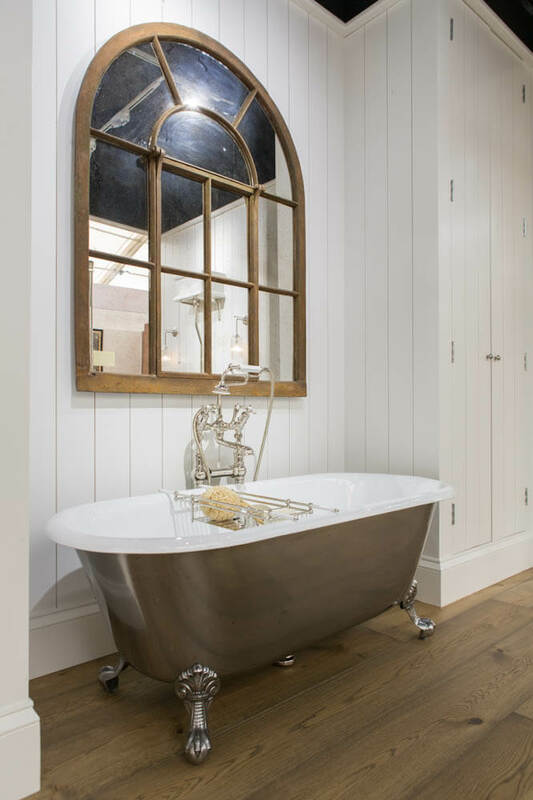 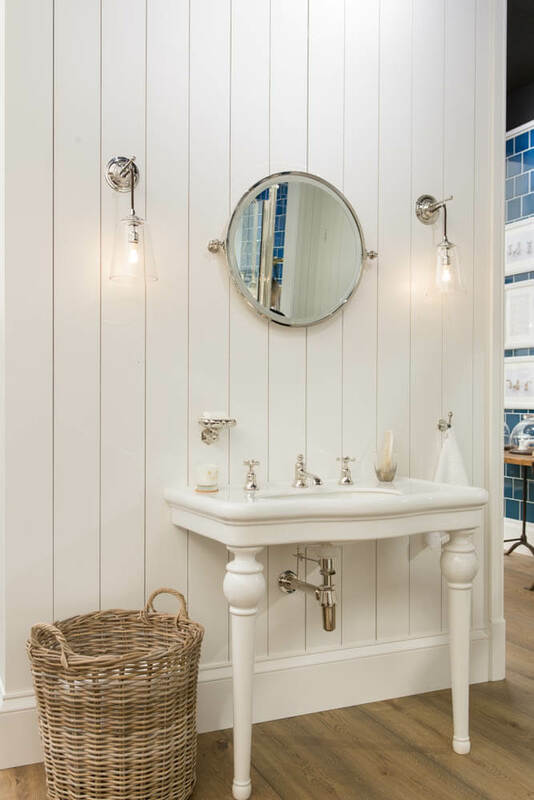 From stunning free standing cast iron baths to classic taps, showers and collaborations on collections with well known designers, Drummonds are renowned for their classic luxury bathroom products. 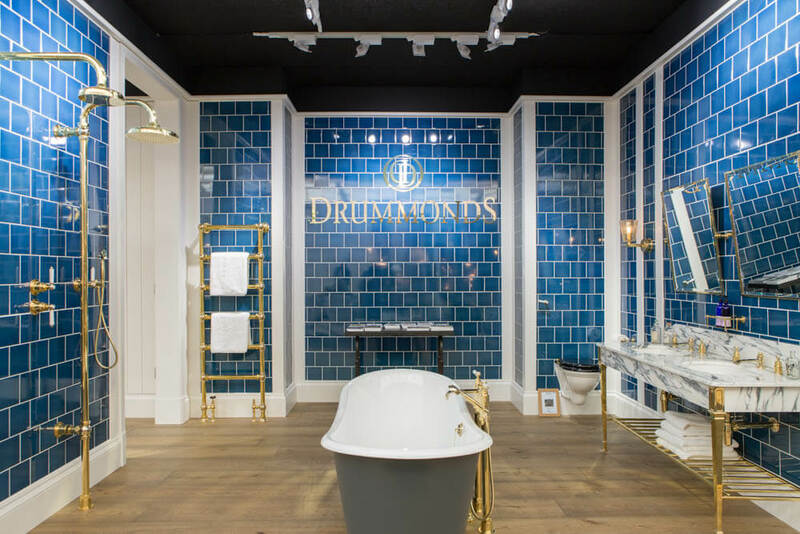 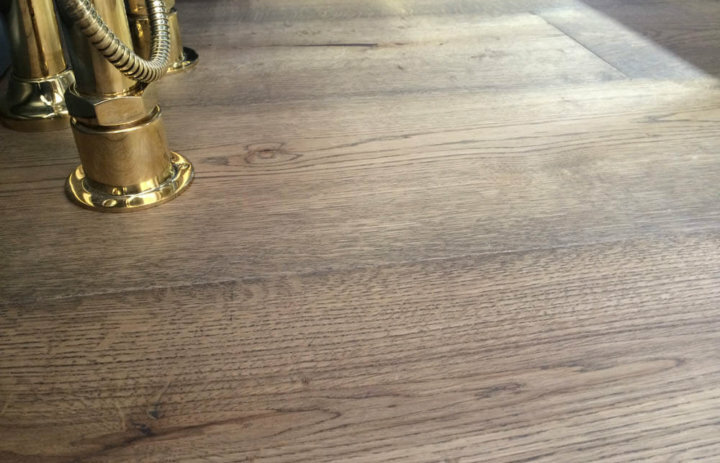 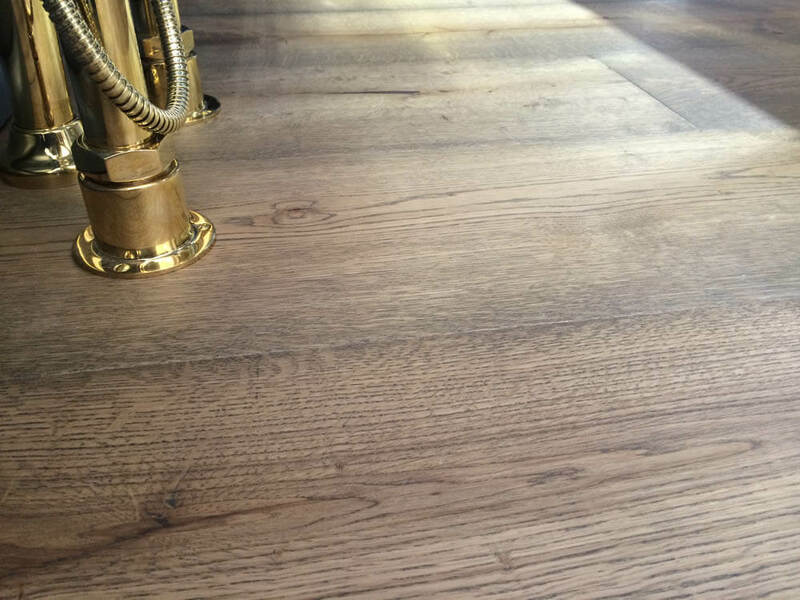 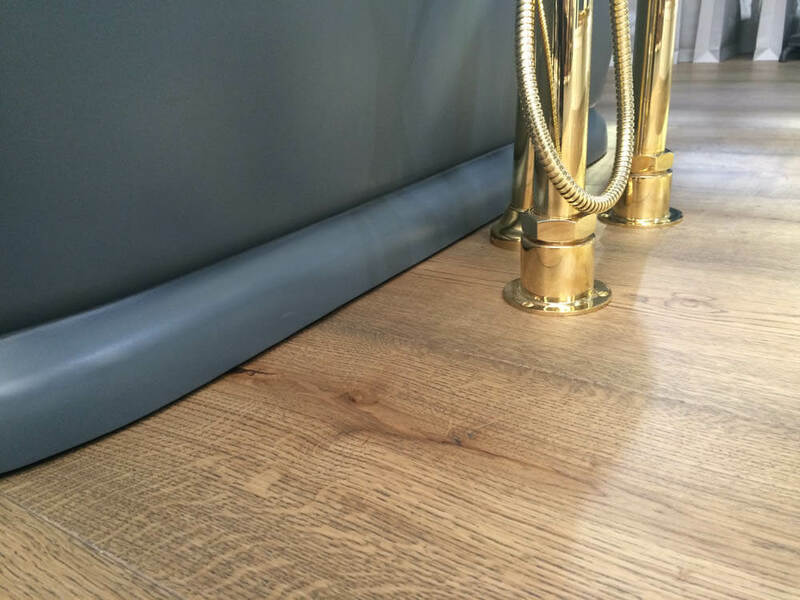 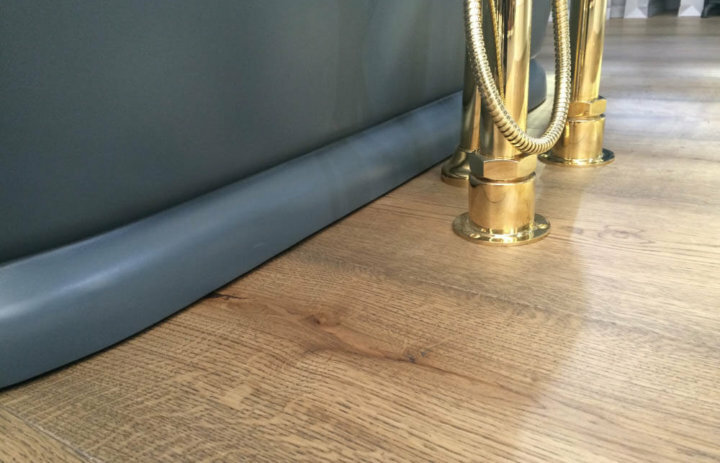 We were thrilled when Drummonds asked us to supply our Bristol Tectonic Engineered Oak Flooring with a Cornish Slate finish for their stand designed by the Martin Brudnizki Design Studio at Decorex 2015. 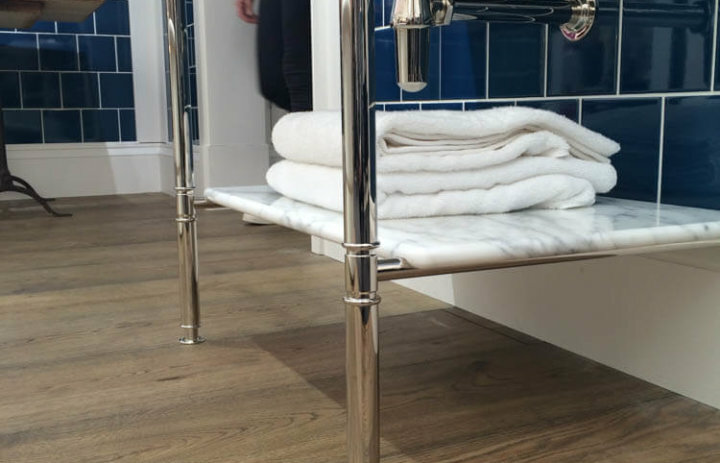 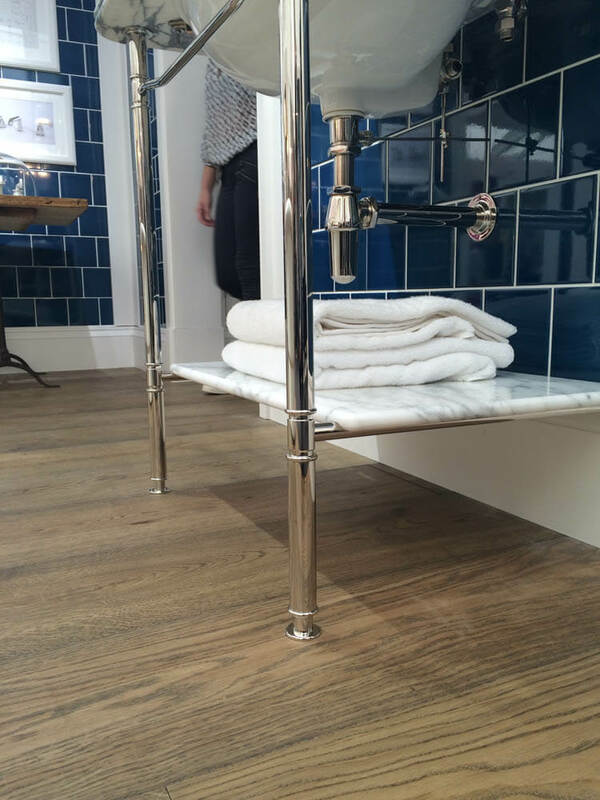 The grey and brown tones in our Cornish Slate finish complimented the blue tiled walls and luxurious signature cast iron baths and various other stunning Drummonds bathroom products set in the stand. 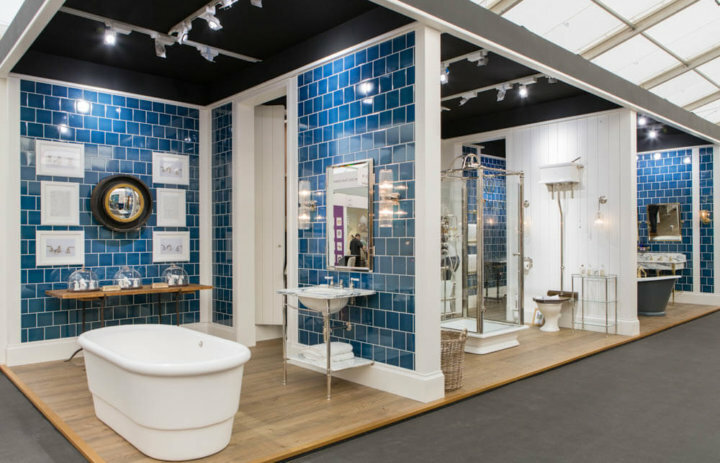 The overall aesthetic of the stand was a cut above the rest at Decorex 2015 (and we aren’t just being biased).